Every two years, Slow Food movement leaders and communities convene at Terra Madre Salone del Gusto, to share the diversity of good, clean, and fair food found all over the world. Delegates from over 150 countries are chosen for their ability to represent their unique traditions and Slow Food success stories, as well as their capacity to bring lessons, ideas, and relationships to help meet the challenges they face at home. The Sacred Roots Team, Rosebud Schneider and Shiloh Maples. 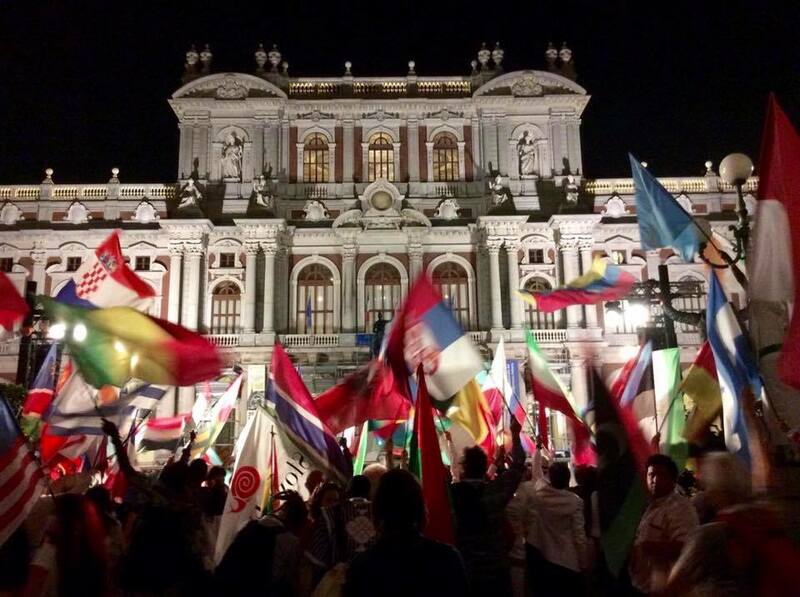 This year AIHFS’s Sacred Roots team was invited to help represent Detroit and the new Turtle Island Association of Slow Food at the conference held in September in Turin, Italy. The mission of the Sacred Roots program is to work in partnership with the community to create a future free from chronic disease and to pass on a legacy of wellness. The project strives to engage and mobilize community members in building healthier environments, policies, and relationships—to achieve immediate and lasting change in our community, families, and lives. Our team of staff and community alliance look for guidance for good health in our ancestral roots, hence the name Sacred Roots; and it was an incredible honor to be given the opportunity to share the work we are doing in southeast Michigan around revitalizing traditional foods for good health with the global community. We would especially like to thank the community members that came out to our special fundraiser we had that helped make this trip possible and we want to thank AIHFS for a special contribution too! 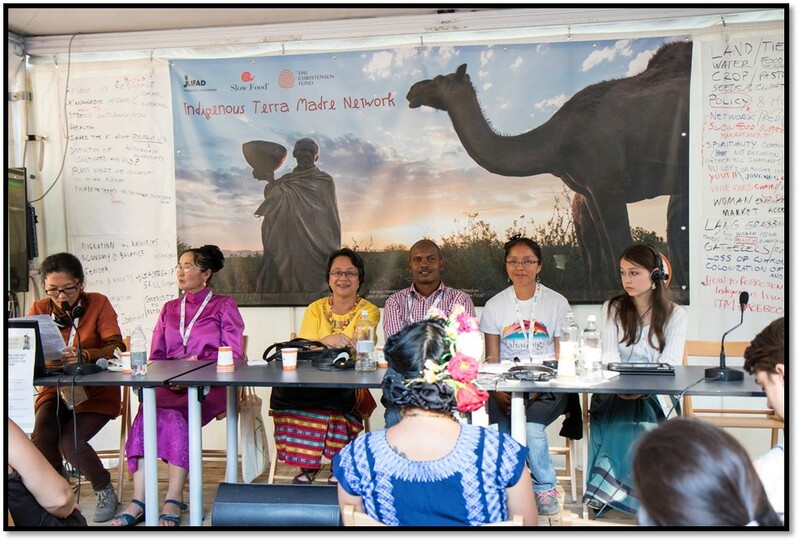 Attending Terra Madre was an extraordinary opportunity to connect with indigenous communities from around the world and to gain insight on strategies for sustainable food systems in urban and tribal communities. We attended many presentations and panels including, among others, a talk by Winona LaDuke; one on “The Commons: Nomadism, Pastoralism, and Custodianship, and the Rights of Indigenous Peoples”; and “Biodiversity, Resilience, and Global Challenges” at the Indigenous Terra Madre Network. Attending these sessions broadened our understanding of the challenges facing local food systems, helped to draw connections with issues in our southeast Michigan community, and learn about the innovative work people are doing to protect and preserve their foodways. Being selected for this historic event is a special honor, because Slow Food has recognized the Sacred Roots team’s commitment toward increasing healthy food access in Detroit as well as our passion for preserving our food heritage. 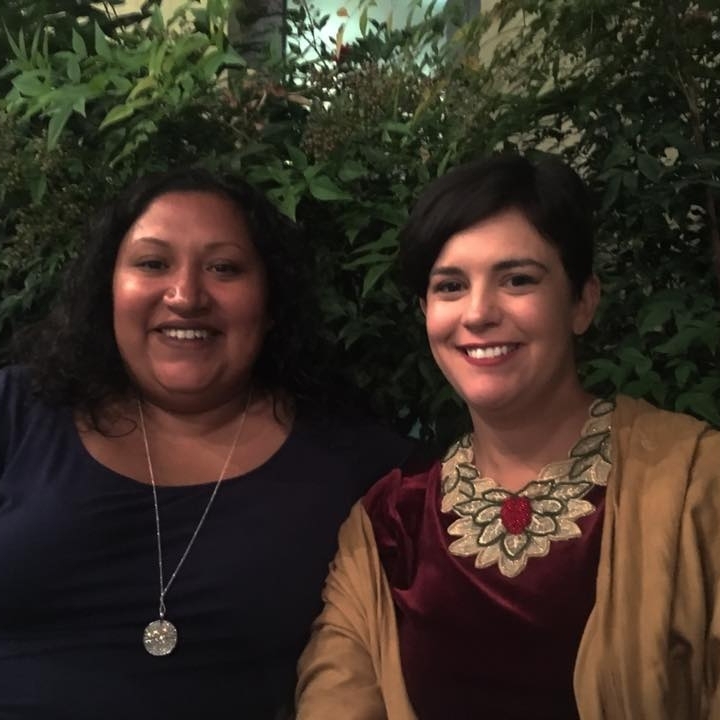 The Sacred Roots team looks forward to sharing more insights and lessons from the conference at the next BALAC grantee meeting and future coalition meetings. Here is a schedule of upcoming meetings. 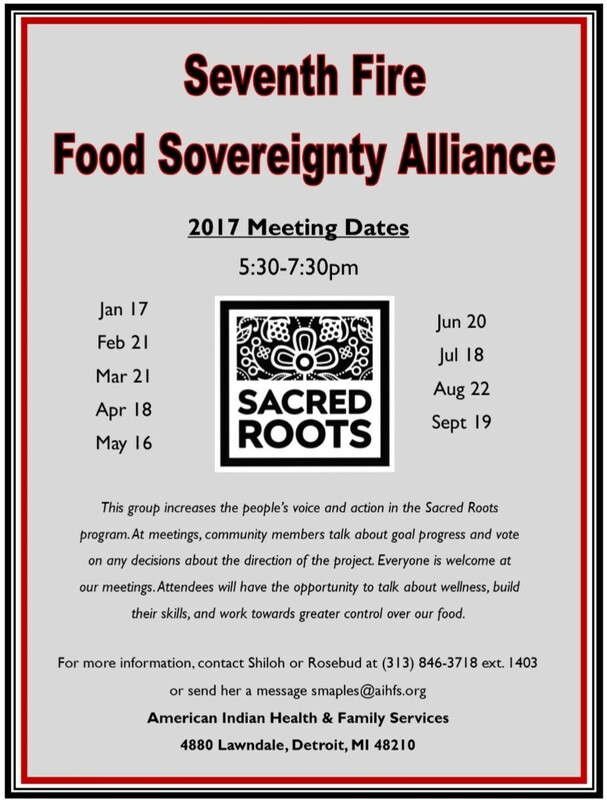 For more information about the Sacred Roots program, contact Shiloh or Rosebud at (313)846-3718 ext. 1403.